A couple of quick updates on expeditions we have been following. 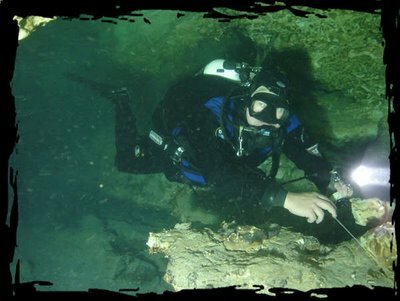 Brett Rapp and the Operation Desert Dive team are now at Cocklebiddy and only contactable by Iridium satellite phone. However Brett has informed me that everybody is safe and the team has reached Toad Hall. They have successfully secured the bat skeleton. I hope to have a full report next week when the expedition is completed. In the mean time readers may like to download this video (10 meg ) and see Brett Rapp and Chris Bath explore Iddlebiddy Cave at Mt Gambier South Australia. The Kitesled team have returned to Australia from their Greenland adventure. They didn't cover as much ground as they had hoped due to lack of wind but they did prove the kitesleds. At one stage they covered 95km in 4 hours. The full report is here. Now, its onto Antarctica!